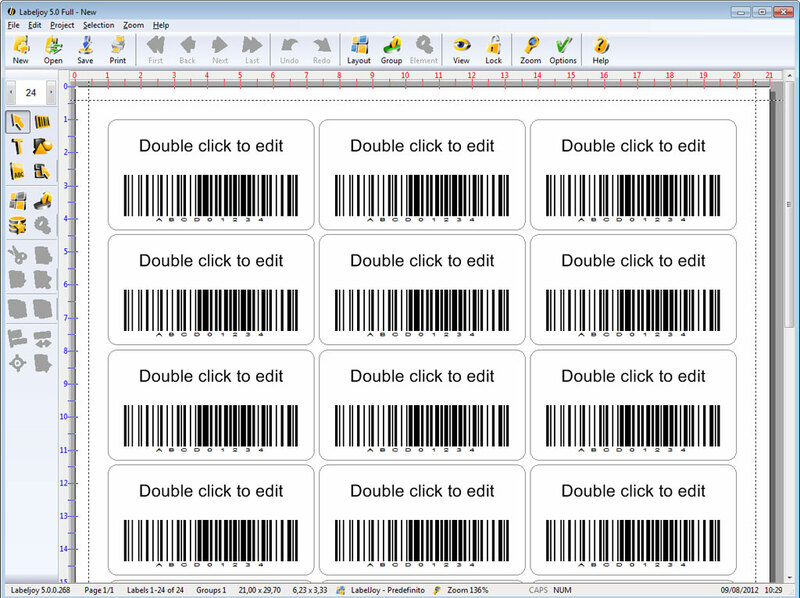 Create and print labels and barcodesLabelJoy is a software engineered to create and print labels, envelopes, badges, cards, letters and anything else that needs to be fully or partially replicated and printed.LabelJoy is the first label printing software that features a full WYSIWYG user interface (What You See Is What You Get), which means that the computer screen will show paper and label elements exactly as they will be printed. Using the the mouse will then be possible to make the necessary adjustments and have an immediate visual feedback on how the elements will be printed.LabelJoy enables you to print Texts, Barcodes, Images and other graphic elements. One of its strong points is that it encapsulate the newer graphical functions offered by Windows, introduced with Windows XP but backward compatible, that enable the user to create complex fading, transparency and rotation effects.LabelJoy can also connect to external data sources to create labels with dynamic information.Create and print labels, envelopes, badges, cards, letters, etc.Use the super friendly WYSIWYG interface.Create complex fading, transparency and rotation effects.Create and print 1D and 2D barcodes.Connect to external data sources and create labels dinamically.Use your inkjet or laserjet office printer.Use label tags purchased from your corner shop and find the layout in LabelJoy database.Use centimeters and inches unit.